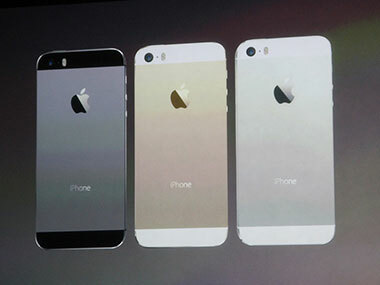 If you want a silver or gold version of the iPhone 5s from AT&T, your best bet may be to order one online. Sources familiar with the launch said already tight availability for the iPhone 5s will be even more limited for those two colors, with AT&T allocating most of its supply of those shades to online orders. AT&T is starting online orders at 3 am ET Friday, with stores opening at 8 am local time. Supplies of the silver and gold models are expected to be tight across all the major carriers, according to a report from 9to5Mac. Sources at some other major carriers also told AllThingsD that they also expect supplies of the silver and gold metal versions to be precious. An AT&T representative declined to comment. Sprint, Verizon and T-Mobile representatives were not immediately available for comment. Even the Space Gray model availability is expected to be quite limited at AT&T and other carriers. One carrier source earlier this week described iPhone 5s inventory for Friday’s launch as “grotesquely unavailable.” Apple has been taking preorders for the brightly colored iPhone 5c but not for the higher-end iPhone 5s. It has declined to comment on expected inventory.